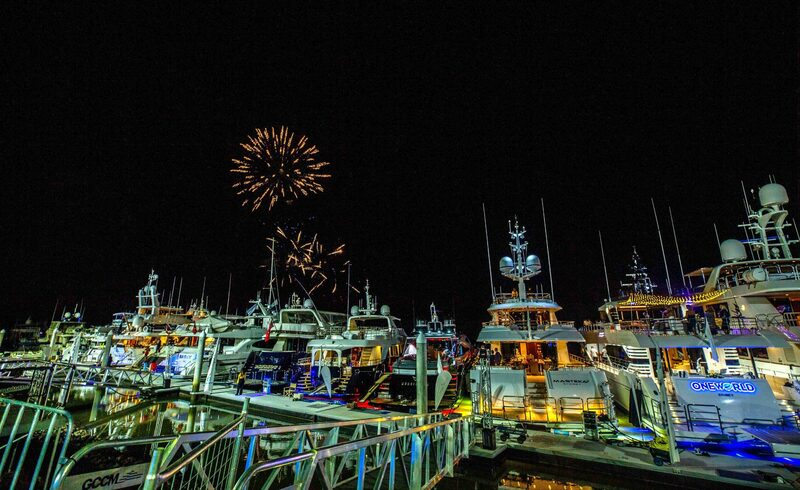 GOLD COAST, AUSTRALIA: In a welcome move, the 2019 Australian Superyacht Rendezvous to be held at Gold Coast City Marina and Shipyard (GCCM) will now be staged on 17 and 18 May to headline a blockbuster 11-day program of marine events on the Gold Coast including Superyacht Australia’s ASMEX Conference followed by the Sanctuary Cove International Boat Show (SCIBS) and Marinas 19 Conference. With the Gold Coast increasingly recognised nationally and internationally as the marine capital of Australia, Trenton Gay, CEO of GCCM and organiser of the Australian Superyacht Rendezvous, says the strategic date change made perfect sense and signalled the strong sense of unity and collaboration within the ever-strengthening industry. “While last year’s Australian Superyacht Rendezvous was staged in April to coincide with the Commonwealth Games, it makes sense for international guests and yachts to maximise their visit to the Gold Coast and capitalise on the opportunity to attend all four of these vital industry events across an extended 11-day experience,” Mr Gay said. “We’re proud to be part of such a collaborative industry and the support we have received from both Superyacht Australia for their ASMEX conference and Sanctuary Cove International Boat Show to shift our dates to coincide with their events has been second to none and confirmed our decision to stage the 2019 Australian Superyacht Rendezvous on 17 and 18 May,” he said. Established in 2017, the prestigious annual two-day Australian Superyacht Rendezvous showcases the Australian superyacht industry, its capabilities and economic potential along with Australia’s destination appeal, marking it as a uniquely intrepid travel destination for superyacht charters for luxury holiday-makers. Around 20 of Australia’s finest superyachts, collectively worth in excess of $200 million, will once again line up for the Australian Superyacht Rendezvous which brings together those with a business and personal interest in yachting – in particular high net worth individuals from around the globe – in a bid to prosper Australia’s superyacht industry. Superyacht Australia’s CEO David Good who will lead the two-day Australian Superyacht, Marine Export and Commercial Industry Conference (ASMEX) echoed sentiments that it made sense for industry visitors from around the globe to be able to attend the Gold Coast’s full spectrum of key marine events within an 11-day visit. “The Australian Superyacht Rendezvous team spoke with us about moving the date back to immediately prior to the ASMEX Conference and we felt it was a great move and would make a compelling week to travel to Australia to engage in marine business,” Mr Good said. ASMEX will be held from Monday 20 and Tuesday 21 May 2019 at the Intercontinental at Sanctuary Cove. Wednesday 22 May is a free day and will include tours of regional marine facilities arranged by Superyacht Australia prior to the opening of SCIBS which runs from Thursday 23 to Sunday 26 May 2019.